For most printmakers, dust is and has historically been the bane of our existence. So much freon has never been released into the atmosphere as from all those cans of DustOff in photographers’ basement darkrooms — when darkrooms were more common. Spritzing negatives in an attempt to get that pristine, perfectly clean negative was one of the most important jobs a darkroom photographer could do. Now that we’re in the digital age, not much has changed really. Sure, if you’re printing inkjet directly from digital you might be spared — unless there’s dust on the sensor of your camera, but even that can be whisked away in Photoshop, no problem. For the alternative photography printmaker, however, the physical world is still a very real-world problem. If it’s not humidity causing problems on the East or West Coast United States, it’s dust, like here in Colorado. I have three air purifiers running in the studio where we make polymer photogravure plates. It helps a little, but still dust specks occur and when they do they’re likely to be in some prominent area of the composition like a sky, or the tip of someone’s nose. If it’s in the plate, it’s committed, so you take extra precautions, but what about if it’s in the ink, or dust that lands on the plate just before it is printed? Examine your paper for any specks before tearing and soaking it. Vacuum and wet-mop the floors and shelves. Staple plastic above your wiping area and press, if possible. Keep one or more air purifiers running near your printing area at all times. Make sure they are blowing away from your materials, not at them. Make sure your rags, tarlatan, and wiping materials have been shaken out and are relatively dust-free. Examine the plate carefully while wiping to remove any chunks or specks in the ink. Use a clean, lint-free rag to brush off any remaining dust. Cover the plate with clean tissue paper immediately after examining the plate. Carry it to the press covered. Use a drafting brush to remove any particles from the printing paper that may have been introduced during soaking or blotting. Have an assistant remove the tissue carefully just before you put the paper onto the plate. Clean press bed with anti-static plexiglass cleaner between prints. Of course, the larger the plate, the more surface area there is to get contaminated. Also the more white-areas there are, the more likely dust will appear there. The less time your plate is exposed to the open air in even a slightly dusty environment, the better chances you have of not introducing unwanted particulates to your prints. At Intaglio Editions we strive to make photogravure-quality prints that are artifact-free, and that includes digital posterization, newton rings, dust specks and the usual list of pitfalls new printmakers tend to fall prey to. The printing process, whichever it may be, will always lend itself to the final print and influence it in some way. Intaglio printmaking is, after all, an industrial art and along with that comes large equipment, large spaces, and unfortunately, large amounts of dust which invariably, at some point, will work its way into your life, and your prints. I would assert that this very dust issue might be why most vintage photogravure prints tended to be of darker, more complex images, so the dust that does work its way into the prints is not as distracting from the image itself and it simply blends in. People were also more accepting of it just being part of the process back then as well. 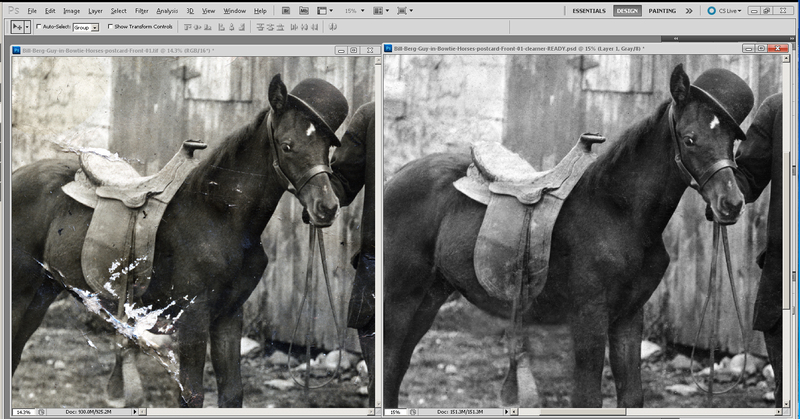 Most photo cleanups take 15-30 minutes. Since this piece is intended for a large intaglio print we needed to get more aggressive. The original scan was made using a 16 passes with an Epson Perfection v750 Pro scanner at 16bit RGB. Click on image for greater detail. As you can see, much physical damage in addition to the normal specks, scratches and discoloration needed addressing. Some areas of the photograph were completely destroyed and needed to be discreetly added back. Photoshop, Wacom pressure-sensitive pen and tablet and 3.5 hours later and we had cleaned it up so that no one except for those with a trained eye could tell the difference. Cleaning up the intaglio editions website I came across an old file – not sure why it was on the website, but it reminded me of some techniques in intaglio I have yet to experiment with on the press. Granted these kinds of techniques could and probably should be simulated on the computer before going into the studio to save time, however there are occasions where what happens in the studio is a complete surprise and a gift that would never have occurred had one not ventured forward IRL (in real life) with curiosity and confidence. So re-visit those old notebooks from time to time, as you might old friends. (shadow, midtones, highlights) and use complimentary colors for each of them. Get good black and white print first. Overall image must have rich blacks and nice, balanced tone. Last plate: Blacks only. Extract blacks from image and put it into it’s own plate. This will prevent ‘fuzzy’ look and will keep lines sharp. Inks of different viscosities will repel one another. Use a combination of translucent and concentrated inks, dob onto plate, then wipe by putting plate face down on stack of newsprint and firmly drag the plate in a particular direction. Do consistently for multiple wipings. Wipe in opposite direction in the same manner. Try rotating side to side too. Only problem will be devising a process for coming up with somewhat accurate registration. Instead of Q-tips or brushes or felt for a la poupee, use stiff brushes to deliver ink to plate. I’ve been talking with copper gravurist Barbara Sanders over Email some more about the challenges with first establishing exposure and washout times when processing a polymer plate. Also when is the right time to begin tweaking the curve applied to the transparencies. I’m hoping that documenting her journey helps provide insight to others. Spent most of the day making test plates and trying to get the work flow correct. Not a bad day and feel I am close to proper exposure times. I am starting to collude that my transparency needs adjustment (the dreaded curves question!). I included the following step wedge with my test image to evaluate where things weren’t getting enough information. 0, 10, and 20% are pure white; there is no difference in black 90, 100; my 70 reads like the 80. 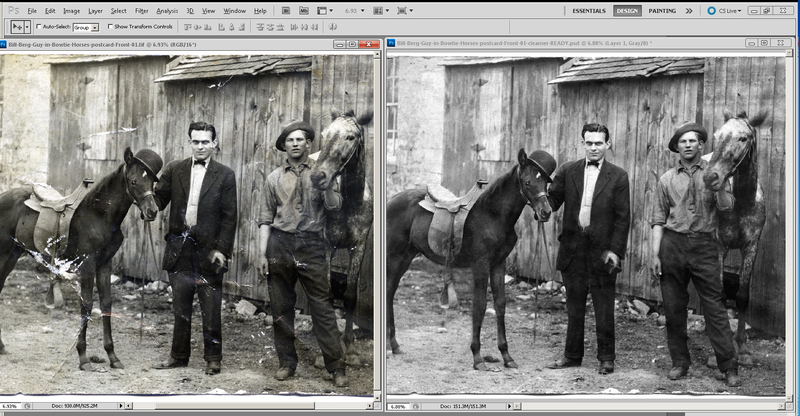 I am thinking if I lose density in the blacks and lower the output of the whites that they might darken (grey). Correct?…Hard to figure which variables to tweak first. Thanks for the info. You’ve basically got 20 steps which is an ambitious undertaking flying solo, but more information is better than less. You should be able to get 20 unique tones with this process using Mark Nelson’s screen and the KM73 plates. The last 10% of perfection is always the hardest won. My sense is if you’re losing the top 20% of your highlights 10% of the shadows (with 70 and 80 looking the same), you need to pull down your exposure times a little and get paper white at 0% and some tone in the 5% area to start with, before tackling the curve (which is how you can address at least some of the midtone/shadow detail issues later). Whether you pull back time on the aquatint screen or the film positive, or both is the question. If you lack enough exposure, the black areas of the plate will go mushy, so that will be your cue if you’ve gone too far and don’t have enough exposure time. Varying even 5 seconds of washout will also make a difference from my experience, so if you’re getting too mushy, you might back off washout time as it is the third physical variable you want to get a grip on (in addition to your two exposure times) before tweaking curves. If the plate gets too sticky and sticks to the newsprint when blotting, you may need to increase washout time (or exposures). How the plate feels is the first step to getting this first part right. You may also find once you start tweaking the curve, you have to tweak exposure and washout times yet again. Don’t be discouraged, as this is the way you need to juggle the variables until things start coming together. It’s time consuming, but the only way I know how to go about it with any accuracy given the multitude of variables. I’m giving this as an example: This ratio of screen to image time is not critical as there doesn’t seem to be any rhyme nor reason to it with any printmakers I’ve spoken with to date. It just depends on your other variables (film density, exposure unit, screen quality). I’ve seen people have screen and image times equal or vary as much as 100%. Another tip: Make sure you always warm up your exposure unit by blasting it for 60 seconds before exposing plates for the day. It will normalize the exposure to some degree I’ve been told. Best of luck. Send me a scan of your printed exposure test if you’re able. Met with seasoned copper gravure printmaker Barbara Sanders this week and had a lively exchange of information with her and her ceramicist husband Bill regarding the craft and business side of art. Barbara is migrating from copper to polymer with great success as she works toward “close enough to perfect” to feel good about the process. This is the quandary with most printmakers as our thirst for perfection is hard to quench. Thank you for taking the time to see me and my work. I sure love your prints! hence the different exposure times aside from our different exposure units wattage. Complicated but still fun! Thanks for the screen measurement. Like I said I don’t know a lot about measuring density. I guess because I pretty much worked out my process backwards from the resulting print back to the curve and exposure times. The absolute density of a screen and film positive meant nothing to me in the beginning since I had no point of reference, unlike photogravurist John Goodman and those who have had a historical knowledge of their materials and the process. I could only hope my screens were consistent, and so far they have seemed to be. But I am curious about it and appreciate your encouragement in that direction. It would help to verify consistency among my limited stock of custom screens. Since these screens are made up of dots, as black as we can get the imagesetter to produce them, I’m assuming it’s taking an average of the dots-to-clear-film ratio and coming up with a number. In other words, it’s not measuring a continuous-tone density as traditional film provides, but rather a combination of these factors. I’m presuming your screens read darker because the dots are bigger, allowing less light to come through. Not because the dots on your screens are more opaque than mine, though if your exposure time of the screen/image is too high, the density of the dots on the screen would certainly be a factor as well. those gradient circle tests in my procedure occurred – to get a ball-park sense of where I am. I would then tweak the curve in conjunction with exposure times until I was able to maintain a rich black and get some added continuous tone in the highlights. Trying to keep the black where it was, I’d tweak the process compensation curve and exposure times as needed to bring out more and more of the greys in both shadows and highlights. Kind of like chasing your own tail in a way at first, but these factors start to even out if the testing is paced and consistent. Subtle, but possibly relevant point pertaining to the quality of the outcome and the reason why I went with an extremely fine screen: Bigger the dots, the more contrast, the more contrast, the less possible grey tones. I like lots of grey-tone potential because you can always add contrast in the film transparency and make it more graphic if you want to, but you can’t add broad continuous tone until you’ve been able to achieve it already through a balanced combination of the process compensation curve along with proper exposure times of the screen and film positive. Best of luck with your curve training. Let me know if there are any questions I can answer in your journey! Monoprints are prints made using an etched plate, but inked in different ways. Not to be confused with monotypes, which do not generally use a plate or matrix, monoprints can be made in variable editions – meaning made the same but with some differences among each print in the edition – or one-of-a-kind, like monotypes. Monotypes differ from Monoprints in that there is no matrix, and is more freeform where ink is applied directly to a piece of unetched plexiglass or other material and printed. 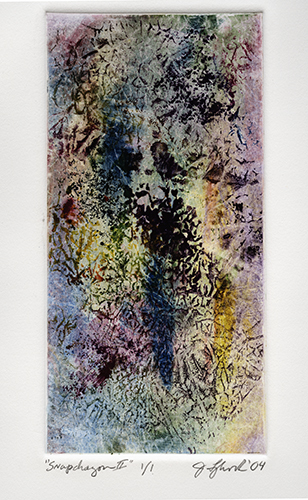 Some monotype techniques include using mylar or other material to mask off and even pick up ink from certain areas of the plate for subsequent monotype printings. Monotypes are truly one-of-a-kind pieces since there is no “permanent” plate matrix, and none of the forms and color blending can really be repeated the same way again. They are, in effect, paintings done on a press. Snapdragon II – monotype by Jon Lybrook courtesy of the Will Witman collection. Recently I met printmaker Julia Lucey from California who works exclusively with monoprints using traditionally etched copper plates. Her etchings alone are wonderfully rich and detailed, but she doesn’t stop there. She layers her prints with multiple plate impressions creating a cubist-like ensemble of pieces that make up the whole. Julia gives a succinct explanation of traditional copperplate etching on her website. Photogravure Polymer plates can likewise be used for monoprints in this same manner. This piece was done all on one plate, which I first wiped clean with blank ink, then effectively painted over using colored inks. 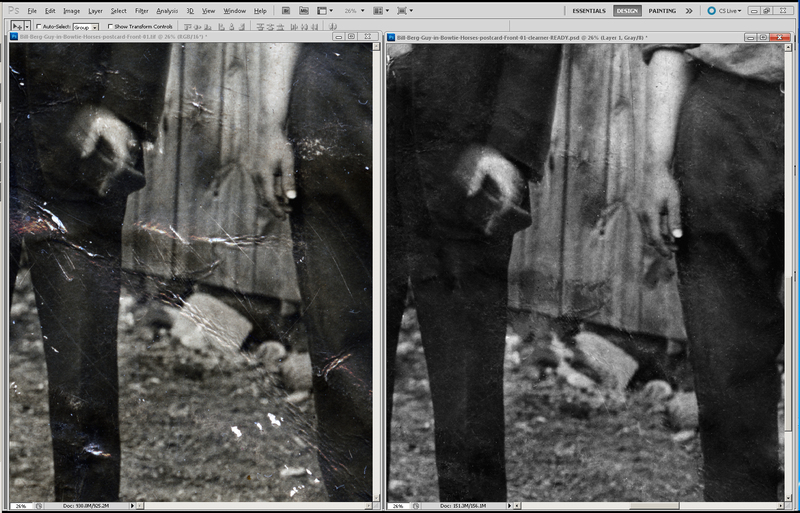 Unlike traditional etching, photoshop can be used to superimpose or manipulate the artwork before the plate is made. This is also considered one of the disadvantages of polymer in that it is difficult to do much to rework the plate with much precision once it has been created because it is made of plastic. Still, there are things one can do with polymer for creative effects, such as scratching it with sandpaper, mottling it with water, or “drawing” into it with a soldering iron. When it comes to monoprints vs monotypes, the bottom line is they are both beautiful printmaking techniques. It’s just a matter of whether or not the printmaker wishes to use or reuse an etched, drypoint, or polymer photogravure plate. I get several emails a year asking questions and for clarifications about photogravure done with polymer plates and my company’s intaglio workflow procedure for doing it. Good questions are usually asked more than once, so I like to publish them when they are to help prevent the need for answering the same question multiple times. I also use the information to refine my procedure. Found your website and information from Boxcar Press and would like to discuss a few art things with you. I talked with my friend Patricia Brandstead this morning and she said you are a good resource for someone learning polymer photogravure. A little bit of background: I have been a printmaker for 30+ years starting in Honolulu and have been making copperplate photogravures for 25+ years both in Hawaii and Colorado. This spring, returning to Hawaii and meeting up with printmakers there, I was kindly shown how to make polymer photogravures as an alternative to copper. I returned with 5 lovely etched plates! My studio is in Steamboat Springs (where Oehme Graphics is) and I have a small Brand press and a NuArc NL22-8C exposure unit. I am able (usually) to make transparencies in my Epson printer with PictoricoOHP film and I have a great screen from Mark Nelson. More “equipment” is ordered. I’ve downloaded your instructions from your site — they’re great. Would appreciate feedback as I’m feeling the polymer plates are even better than the copper! I removed the glass from my vacuum frame years ago to prevent newton rings which Harold Kyle at Boxcar advised me on, and I never looked back. If you don’t have issues with newton rings, no need to even do it. My online procedure outlines what has worked for me and my process. Yours may be different. Since that time Pictorico has released a textured OHP media which may prevent newton rings. It also supposedly eliminates the need for baby powder which I used to prevent contact problems between the plate and the OHP, which tends to be a little tacky. I’ve never used it, but you might try it before going through the pain of dismantling your vacuum frame and removing the glass. I’m using a custom aquatint screen that is considerably finer than those commercially available, among which, Mark Nelson’s are probably the best for polymer photogravure using the Toyobo KM73 plates. He also gives workshops a few times a year that are quite popular and well received. He has a special process for creating digital negatives and curves using colored inks on Epson printers that is rather involved but yields good results. I was never able to get it to work for me, but it could be because my aquatint screen is finer, which is a double-edged sword. Greater tonal range, but more pressure and contact is required in both the printing and creation of the plates. I use a large, Kutrimmer, floor model paper cutter to cut and trim out plates. You want something sturdy, sharp, and tightly assembled. Wobbly ones ruin plates and patience! Exposure times will be custom to your exposure unit and media used. My exposure times will likely be different from yours. Same with curves. Your inkjet printer will differ from mine such that, even if we have the exact same models, the output will differ. Determining the right curve to use is an iterative process — lots of trial and error as with most things printmaking and you’ll want some basic training in Photoshop to become familiar with using curves as an Adjustment Layer. Lynda.com has some great Photoshop tutorials. If you’re consistent in your test process, you will get where you want to be with it eventually. I don’t give workshops, but I do make plates for printmakers, and give private consultations through my company Intaglio Editions: http://intaglioeditions.com I’m also happy to share whatever information might be helpful to you in your pursuit of the process. If you’d like to do a private consultation on the process either over the phone or in person, at your studio or mine. It seems pricey I know, until you compare it to the thousands of dollars in time, plates and paper I’ve blown over the years! Call me if you want to discuss it or have any other questions. Also, would it be OK with you if I were to reprint your questions and my answer on my website? I’ve found it helps people get answers they need more easily sometimes. I get a fair number of technical inquiries and tend to post some of the more interesting ones with common themes that plague many printmakers getting started in this process. The variables are seemingly endless and it only takes one inconsistency with the process to have undesirable results. This one has to do with mottling in the plate, often referred to as ‘measles’. Generally it is caused by improper or insufficient contact between the film and plate, as is the case here. Thanks to photographer and printmaker Lene Bennike for giving permission to publish our exchange in order to help others with similar problems. I m a Danish fine art photographer and printmaker having used the polymer photogravure since 2006 after many years of doing platinum/palladium and cyanotypes. My reason for approaching you is the fact that we can no longer get image setters positive here in Denmark so I am again using the Pictorico OHPs. Like earlier I often encounter measles in the highlights and midtones something I have not been used when doing other alternative techniques. However, searching the internet I came across your advice of using Kreene plastic instead of glass and got some Kreene from Boxcar Press. But after testing twice I still get the same result of measles. The plates we are using here are the KM73. Have you any idea of what could be the problem? Thanks in advance for any suggestion that might solve this. Thanks for your message. Sorry to hear about the measles. print drier to remove the moisture you remove some of its tacky quality. helping to give tight, continuous contact between the plate and film. Yes, I m usually drying the film about 10-20 min in a warm film/plate drying cabinet and the baby powder I have been using for a long time. But I must admit that when testing the Kreene by exposing the attached steptablet I forgot to dry the film – probably because it is an old one having been dried earlier. 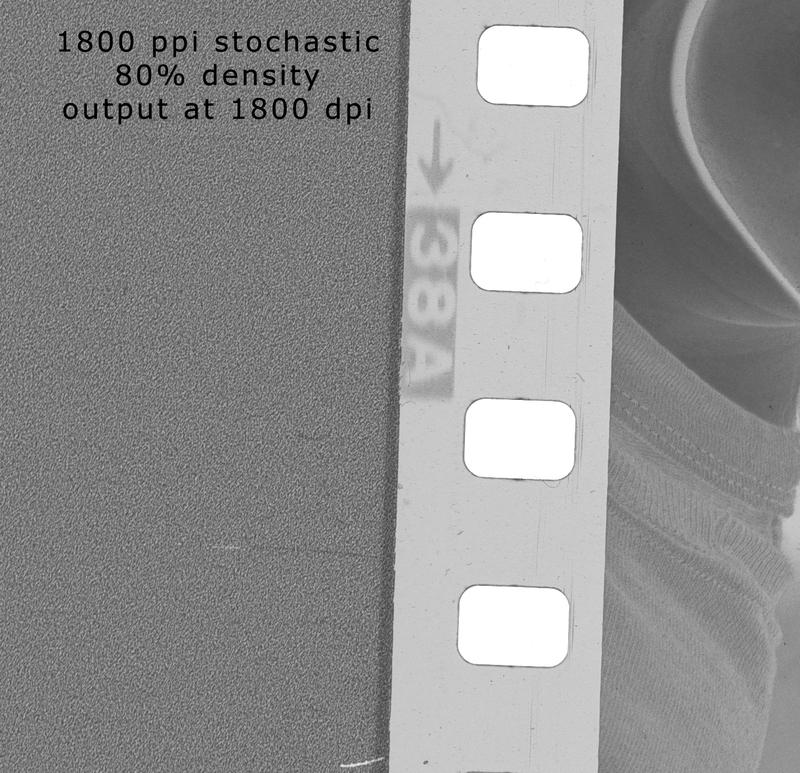 By searching on the internet I have come across info about the new Pictorico ohp films having a tendency to give more problems – could this be correct? It is a fact that the Pictoricos are much thicker than image setter positives. Have you tried other films? What light source are you using for making your plate exposures? I used to use black light bulbs and had some weird inconsistencies in the continuity until I started using a OLEC metal halide light source with a bulb suited for polymer plates. What are you using for an aquatint screen? Imagesetter film doesn’t have as many issues as inkjet film and doesn’t require drying or baby powder. I’ve experimented with many inkjet films in the past. Pictorico works, so I continue to use it and have not looked back since I started using it. I’m using the new version of the Pictorico OHP Premium (not ULTRA which is milkier and more opaque) and have had no big problems with the transition. I think I had to increase my exposure times by 25%. The new version of the OHP Premium film is actually thinner than what they were producing a few years ago. There is a version of the Pictorico that has a texture on the surface which supposedly makes it so one does not have to dust with baby powder. I haven’t tried it. Also, do you mind if I publish our Q&A on my website? Others may find it helpful. The Pictorico I have been using for many years is the TPU100, but they have become slightly thinner over the years. On the new packages which I got from Bostick & Sullivan recently it says PictoricoPro, but item no remains the same. Can I gather that the measles on the image I sent you recently is due to moisture in the old film? I m asking since will be away for a while working in a printmakers studio in Paris and no means to do photogravure there. Yes, you may go ahead and publish our Q&A on your website. OK. This is good info. 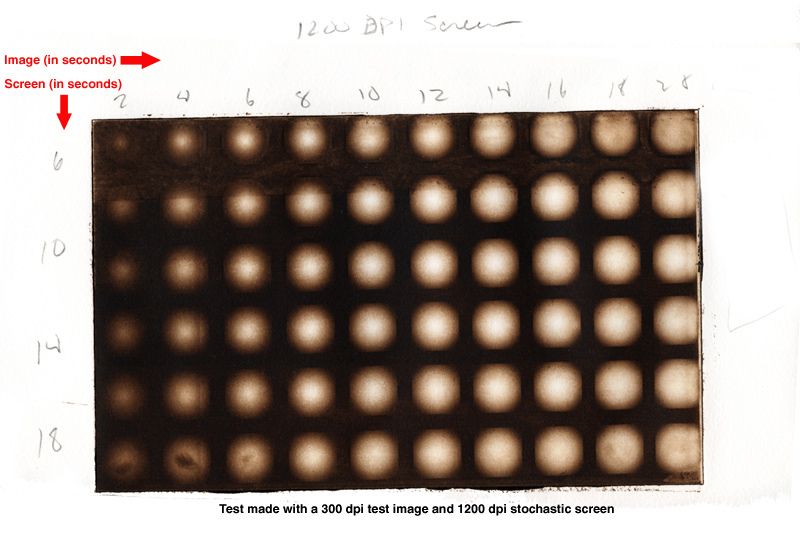 Looking closer at your sample test, I’m inclined to believe you have a contact issue with your film positive. I notice the percentages listed where the measles occur more prominently are slightly out of focus, which would suggest less than perfect contact. Look at 38% and compare it to 50% in terms of the relative sharpness. Likewise compare 96% to 100%. The perimeter is fuzzy. The perimeter is also where the majority of the mottling exists. (http://www.jetusa.com/prepress1.html) or dry, lint-free rag to push out any bubbles from under the kreene. Push as much air as you can from one edge of the vacuum frame to the other before starting the pump, then after starting the pump, move quickly to ensure tight contact. The flexowand will allow you to see if any air gets pushed up against the kreene plastic which should dissipate. For optimal contact, the size of your transparency should not be bigger than the plate. You should see and feel a sharp lip where the edge of your plate meets the kreene plastic. If it looks uniform on the surface of the kreene or there is not a defined edge you can feel with your hands, the contact is likely inadequate. If after about a minute you still find a lot of air bubbles are getting pushed around with the flexowand, stop the pump, open the vacuum frame, adjust your plate and transparency slightly, close the lid and repeat the above instructions. Let me know if that helps and good luck! Can I just ask you one more relevant question re the vacuum frame or more precisely the vacuum pressure that you are using? Yes, of course. Pressure is drawn down steadily to the maximum pressure I can get to help ensure no air bubbles. With Kreene replacing the glass you can’t really go too high — I’ve not experienced that in any case. Recently my inkjet proofing printer bit the big one. Yes, inkjet. I have been using it to do soft proofing for clients for a few years now, so they can get a sense of what their plates could potentially produce when printed on an intaglio press. There is some interpolation involved on the part of the printmaker for this to work. Essentially all the variables of this process can be boiled down to three categories: Hardware (printing presses, exposure units, vacuum frames), Software (Photoshop files, calibration curves, printer drivers), and what Perl Programming Guru Tom Christianson once referred to as “Wetware”, or the mind of the worker. Proofing is a kind of software, in a sense: Something that can be modified easily, on the fly to have a desired outcome. To make soft proofs we output the image on inkjet paper using the same printer driver settings as is used to output the film positive used to create the plate, making sure the correct paper type (in this case Enhanced Matte) is selected in the driver. The output will differ from what is printed on the traditional printing press depending on the style, materials, and preferences of the person running the press and wiping the plates, of course. The printmaker factors this in when reading the inkjet proof. When our inkjet proofing printer went belly-up, however, we had to make due by producing proofs on the one used to output the film positives. The output between the two would be decidedly different. In fact the output between identical makes and models can be noticeably different. “I also included proofs employing the curves you decided on using for the last plates using the new printer. Remember, the files and output will be exactly the same for creating the film and plate. It’s just the proof that may appear different. You’ll need to adjust your interpretation of the proofs depending on how they have changed from the former proofs. Again, by comparing the new proof to the old they could note any differences and adjust expectations accordingly for all future proofs, providing their workflow remains consistent. Much like when an exposure unit needs a new bulb (hardware) or the formulation of the film substrate changes (software), recalibration is necessary. Typically this is done in the process compensation curves of the image file (again, software) used to produce the film, or in the exposure times used to make the plates. In this case it’s simply the “wetware” of the printmaker that needed to be adjusted to suit the change in variables.